Apple pie is my very favorite pie. 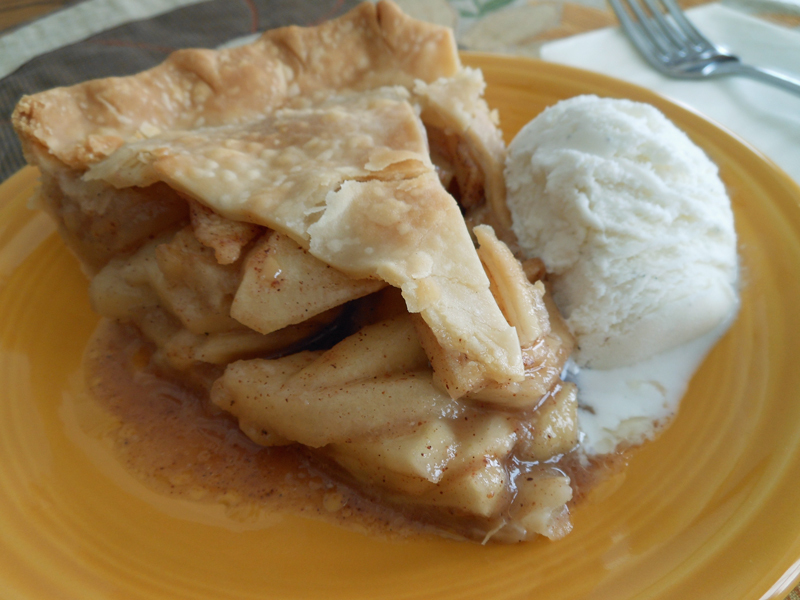 I love to try new recipes, but when it comes to apple pie, this is by far the best, so this is the one I make over and over. I like to mix several different kinds of apples for this pie, but I particularly like Rome Beauties. Place apples in large bowl; mix sugars, flour, cinnamon, nutmeg and salt in a small bowl; sprinkle over apples; toss gently to mix. Let stand until a little juice forms, about 10 minutes. Meanwhile, roll out 1/2 of dough to 12-inch round on lightly floured surface; fit into 9-inch pie plate. Trim overhang to 1/2 inch. Roll out remaining pastry for top to 12-inch round; fold into quarters, make 3 slits near center in each of folded edges for steam to escape. Pile apple mixture in pastry; dot with butter. Moisten edge of bottom pastry with water. Place folded pastry on apples so point is on center; unfold. Trim overhang to 1 inch; turn edges under and press together to seal. Pinch to make stand-up edge; flute or make your favorite edging. 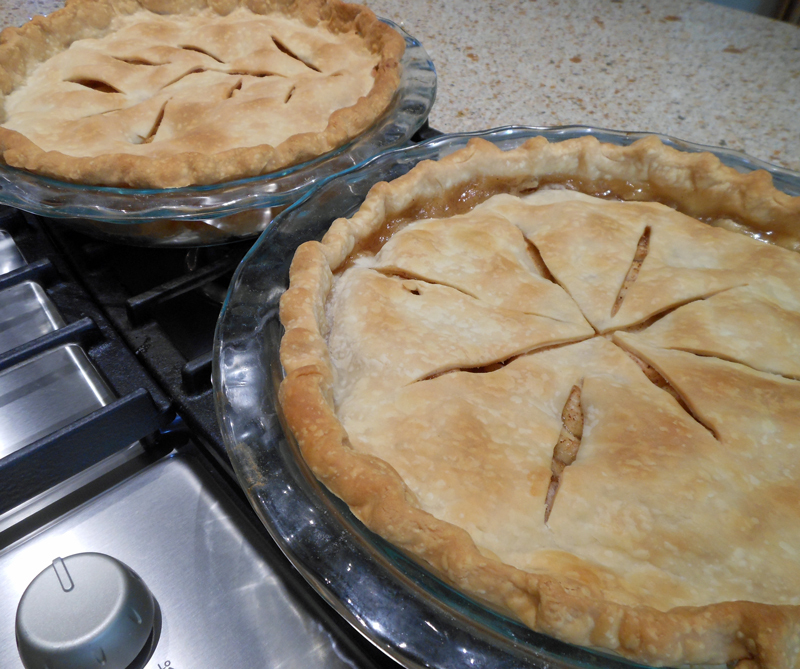 Bake pie in hot oven (425 degrees) for 40 minutes, or until juices bubble through slits and apples are tender. If edge is browning too fast, cover with a narrow strip of foil. Serve warm with scoops of vanilla ice cream or chunks of Cheddar cheese.